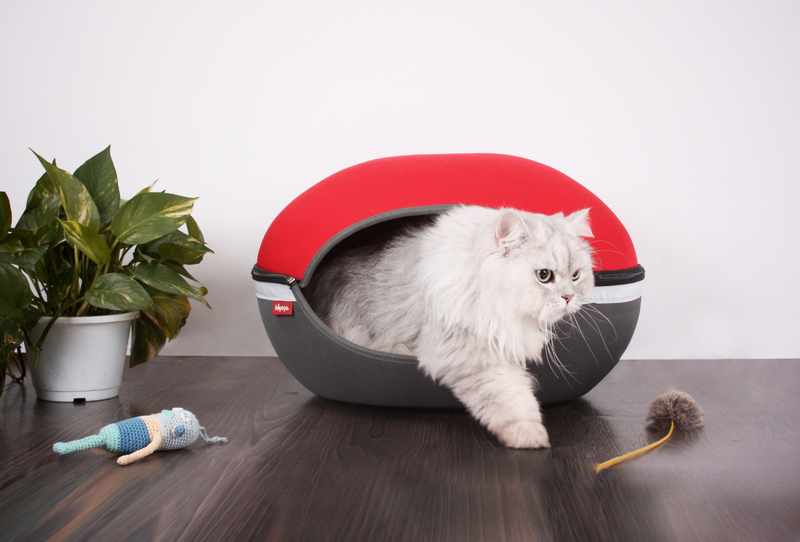 HomeChez-Moi: My Ibiyaya Little Arena – by Ted, the charming cat. Chez-Moi: My Ibiyaya Little Arena – by Ted, the charming cat. Hello there. Welcome to my humble abode! My name is Ted, I’m glad you could make it over here for a visit. Would you like a tour? Let’s start on the outside. First things first, my Little Arena is sky blue because it reminds me of a clear sky or a swimming tasty fish in the ocean. Some of my friends have the classic red or the apple green, but I think the sky blue really suits my nature-loving personality. My home comes in two pieces that are connected by a zipper, which sometimes I like to swat or play with, but it’s very sturdy and can hold up to my rambunctious moments. My Friend lady Gucci finds it cozy. Now that you’ve seen the outside, let’s step inside. You may notice that it’s a little small (52X52X30 cm), but I’m a small cat, so I like it that way. It makes me feel nice and secure. My favorite part of my little home is the premium high loft polyester-filled cozy cushion. I can walk right in, scratch and nuzzle around the cushion until I find the perfect spot, and then plop down for as many cat naps as I want, which is a lot. I also like the UFO design ventilation holes at the back of my home because they give me some extra light when I need it and sometimes even make fun patterns on my bed. And who doesn’t like pretending they’ve found a spaceship every once in awhile? So you know my favorite parts of home home, but want to know what my humans love about it? They love that it’s easy to store and move around either within their home or when we go out for an adventure (that’s my favorite option). It’s really lightweight, so all they have to do is unzip the outside around the middle, and ta-da! It’s ready to go. Even though it’s so easy to move, it is a hard case so it stays firm and doesn’t collapse, which helps prevent it from getting bent or broken. Look at the delicate design! They also like that it passed the Environmental Stress-Cracking Resistance (ESCR) and waterproof tests and that it has a non-slip bottom. I don’t like this feature as much because it means I can’t push my home all around when I’m playing, but I guess it makes it nice when I’m dozing off and the kids are running around. Because it passed these tests, it means my humans can help me clean it with a neutral detergent and a damp cloth without it being damaged. And they can use hair removal tools to keep everything nice and tidy. All of this means I get to keep my home longer, which I’m grateful for. 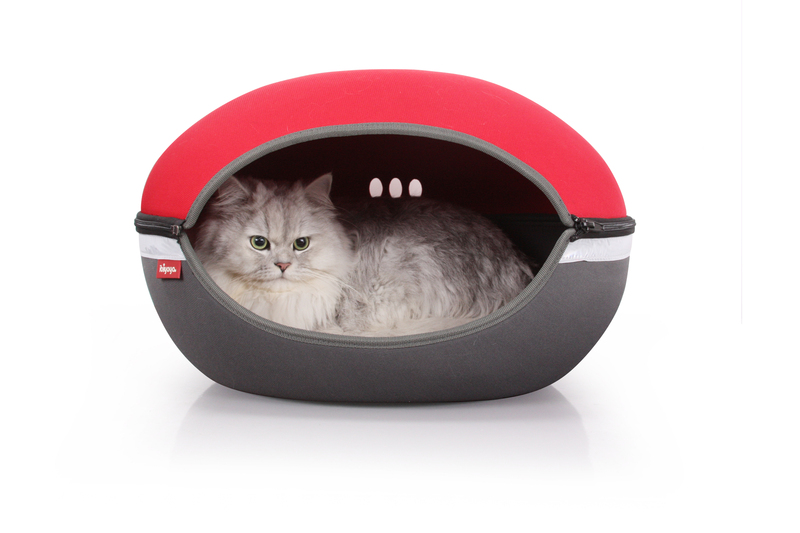 Now that you’ve seen how lovely my home is, are you ready to get one for your furry feline? Just like me, he or she is sure to love having your own space and a comfy, cozy, cuddly bed to curl up in. 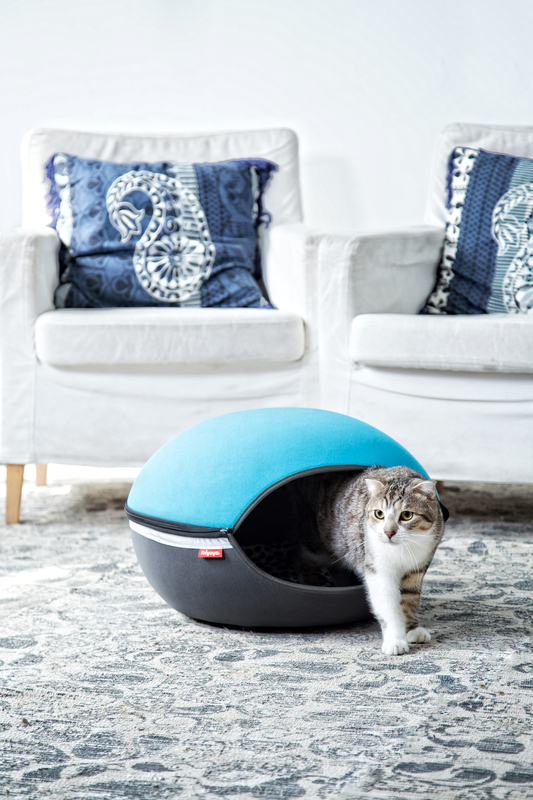 And, of course, all cats need a special place to take our cat naps three, four, or ten times a day. Thank you Ibiyaya for the great design. – Ted, the charming cat.